There is so much I have to share from the past 2 weeks so I will be brief so we can get caught up quickly. Day 296: Last Cup of Grumpy for a While. 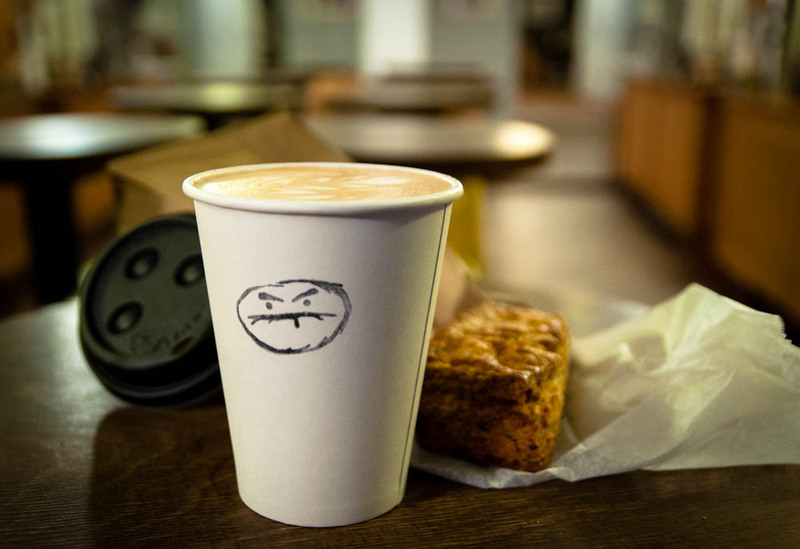 I departed New York with a cup of latte and a kale, pecorino and pine nut scone for the plane. Day 297: Home cooking in its most simplistic form. It’s the best thing after flying and traveling for a full 20 hours. Day 298: Radish Flowers. Slices of pickled radishes are arranged into a floral pattern – only one of many cold appetizers that are almost too pretty to eat. Day 299: Carb on Carb Breakfast. The first meal of the day is no joke here. 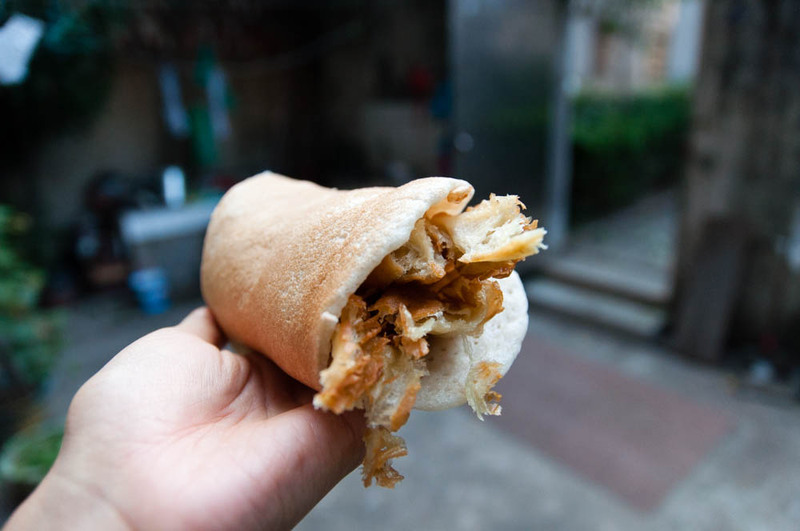 A soft semi sweet roll wrapped around a stick of crunchy fried dough is a great way to start the day. 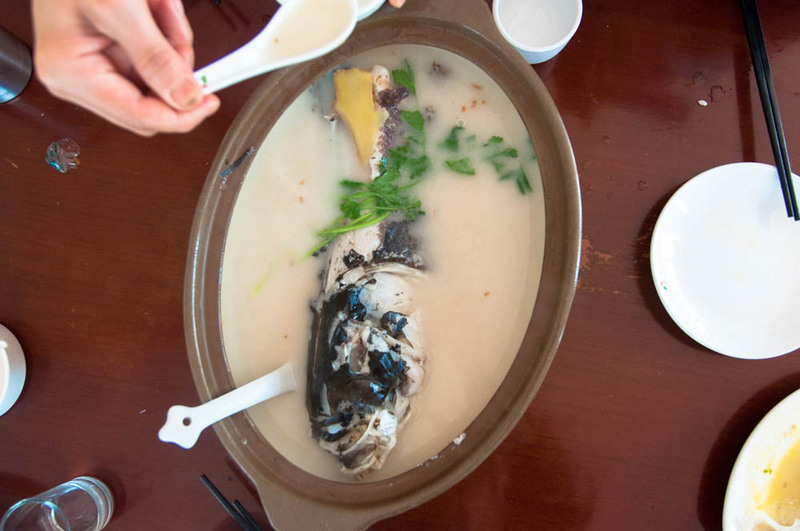 Fish Head Soup. The fish head soup at Tianmu Lake is famous so of course we had to have it for lunch. Day 301: Osmanthus Flower. The warm Fall weather brought a much later than usual osmanthus blossoms. 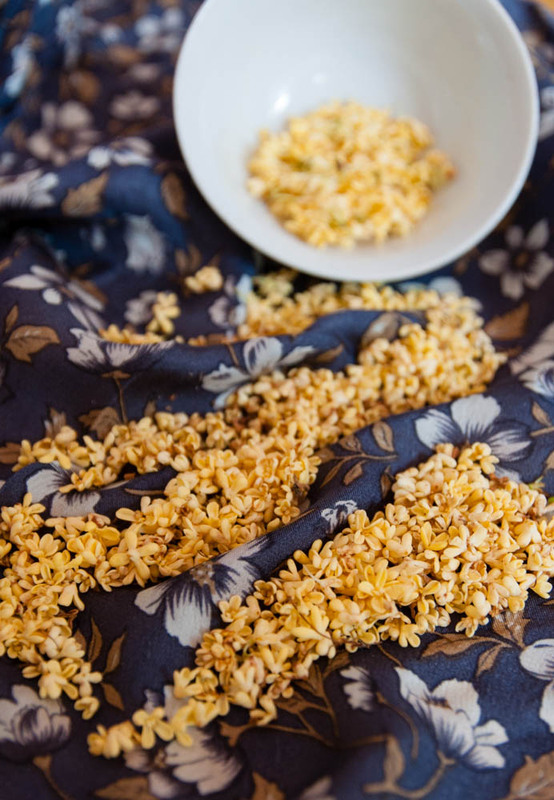 These fragrant flower makes for a lovely jam that I love adding to all sorts of desserts. Day 302: Steamed Rice Cakes. 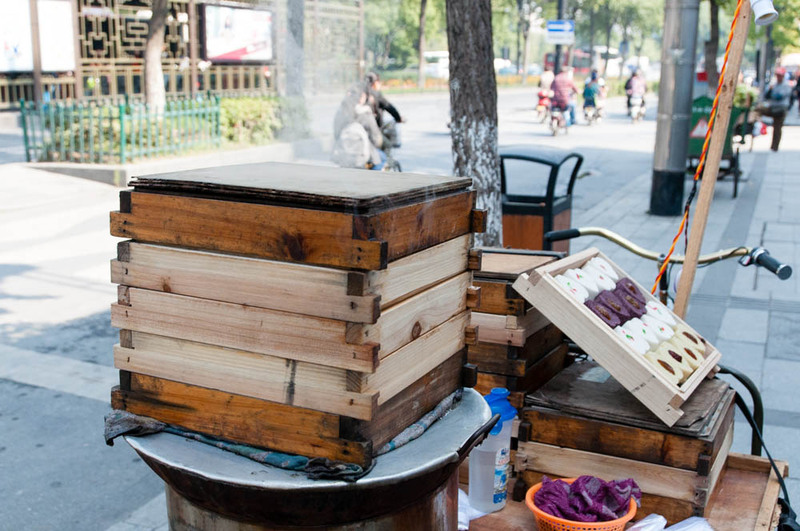 The streets of Hangzhou are studded with vendors hawking trays of fluffy steamed rice cakes. First thing in the morning, these cakes are light but filling. Day 303: Pan Seared Soup Dumplings. 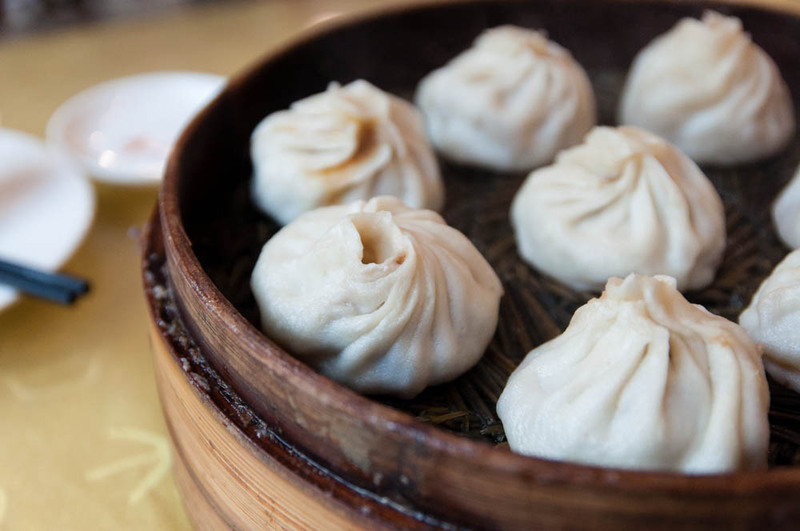 It’s never too early in the morning for soup dumplings. 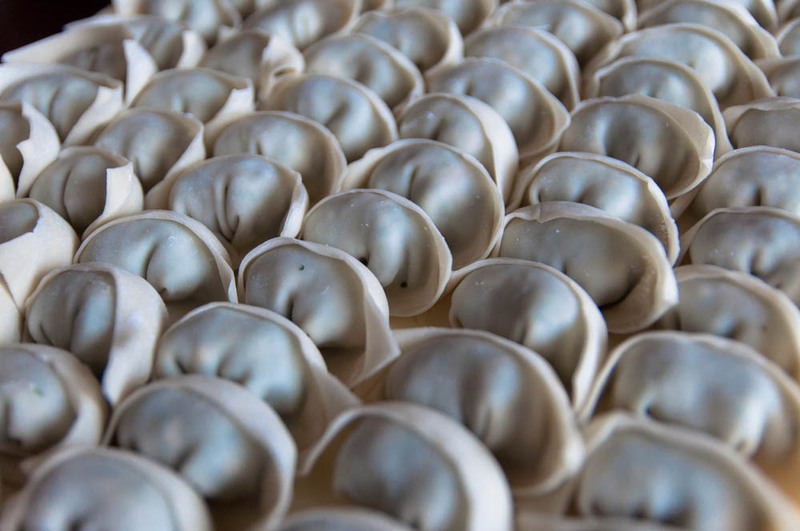 Not even these pan seared dumplings. Day 304: Sweet Rice Lotus Root. 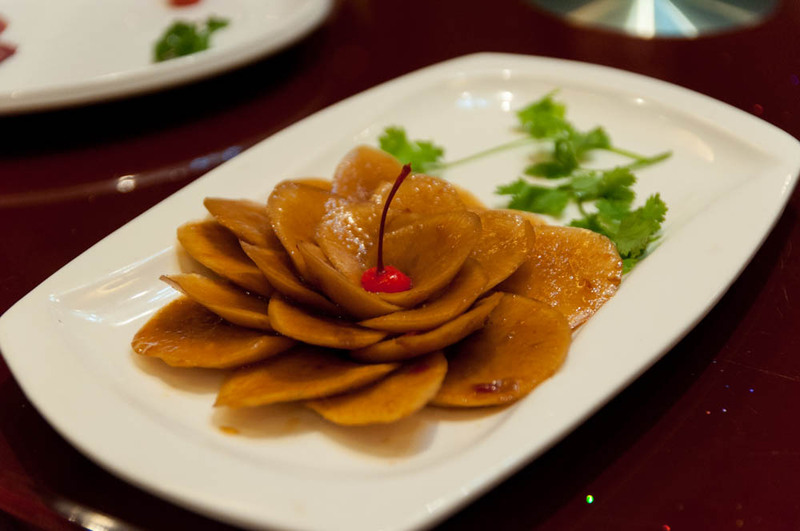 This plate of sliced lotus root studded with chewy sweet glutinous rice was potentially the best I have ever had. Day 305: Friday Lunch at Grandma’s. 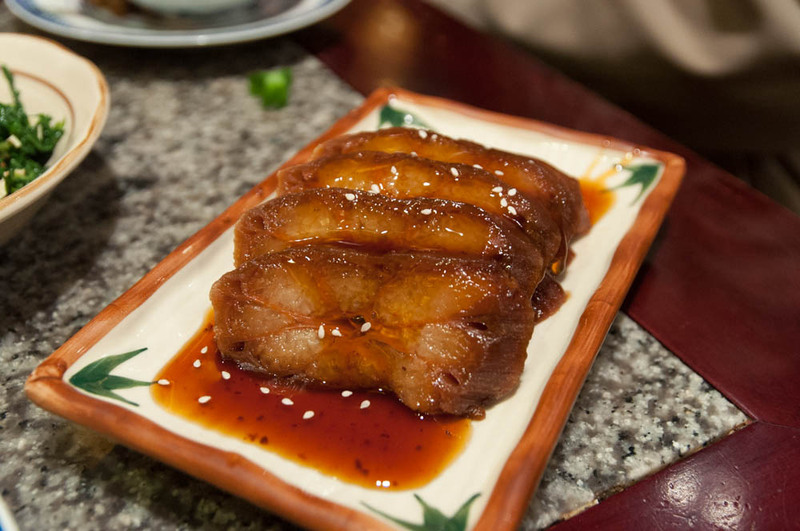 So many dishes, including some of my favorites like a delicious bowl of fatty pork belly with a dark rich soy glaze. Day 306: Homemade Pork Wontons. Nothing more satisfying and homey than a big bowl of homemade pork wontons. 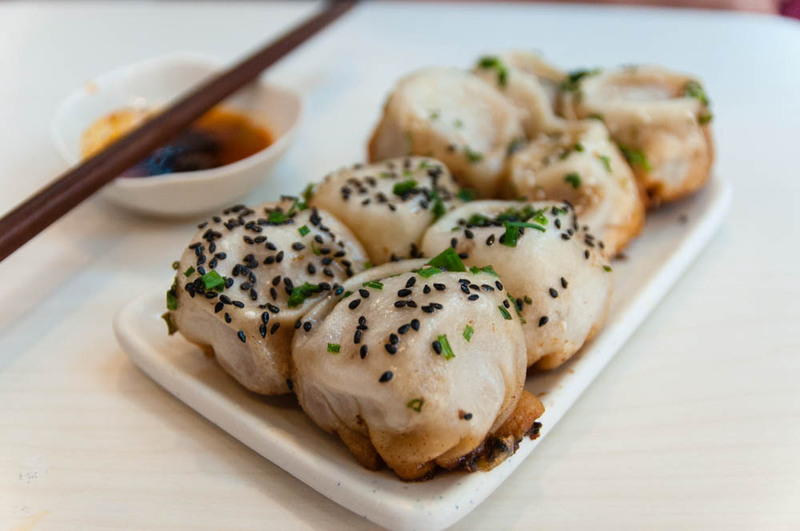 Not even a table full of delicious food can take the flavor away from the wontons. Day 307: Fried Sesame Filled Glutinous Rice Balls. 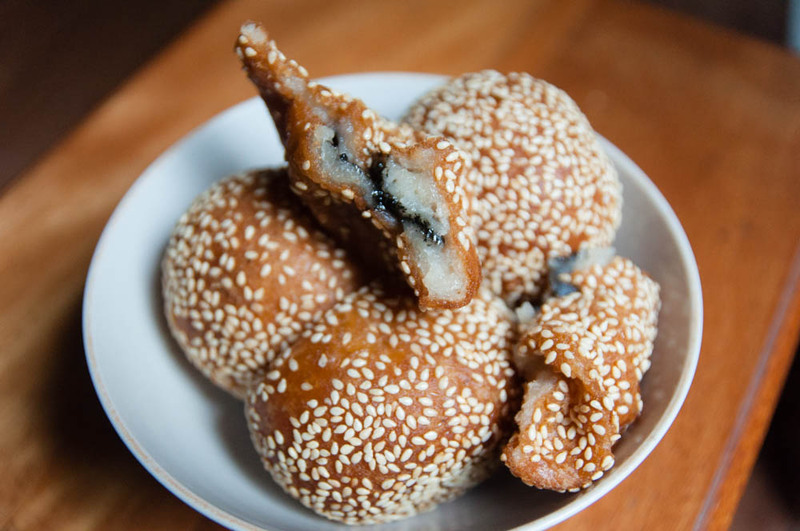 The Chinese version of a doughnut is filled with a sweet sesame paste – not exactly the healthiest breakfast but so delicious. Day 308: Golden Kumquats. 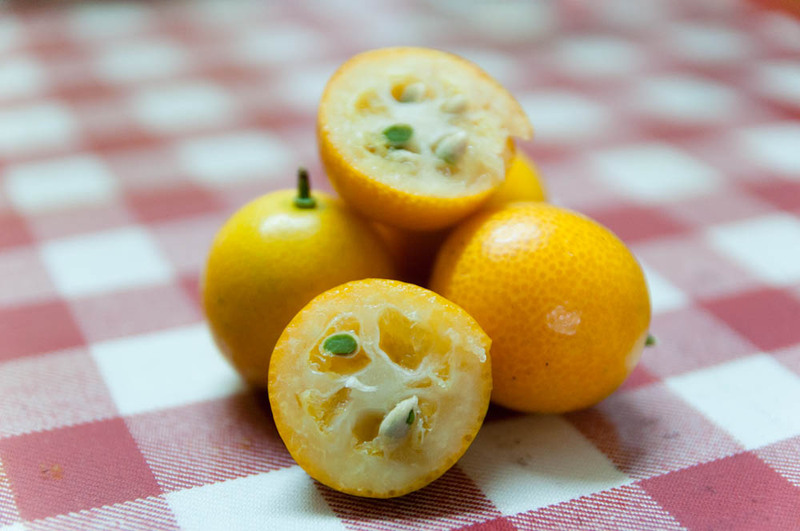 I remembered kumquats from my childhood as being more oblong and a deep shade of orange. Mini oranges, as I preferred to call them, were made for kids I thought. The kumquats I found on this trip looked so different that I almost didn’t recognize them – I guess they grew up just a little too. Day 309: Steamed Rice Cakes from Mu Gui Ying. 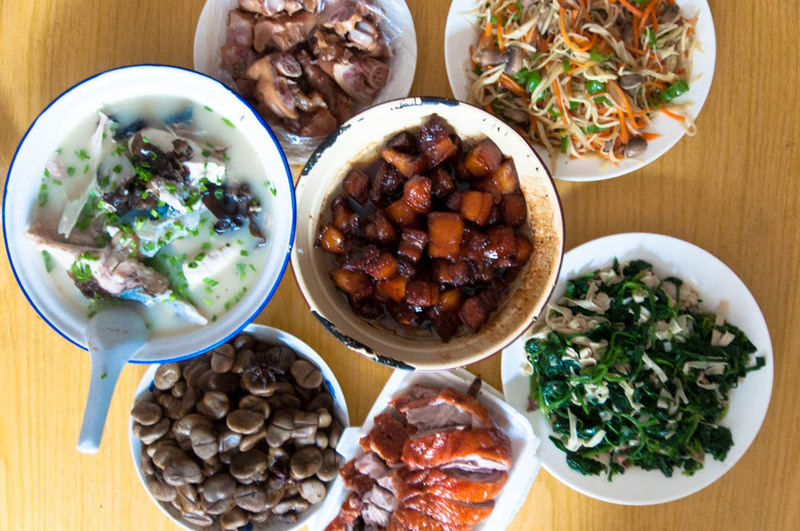 Right around the corner from my grandmother’s house in Wuxi is a breakfast spot known for their rice cakes of all shapes and forms. 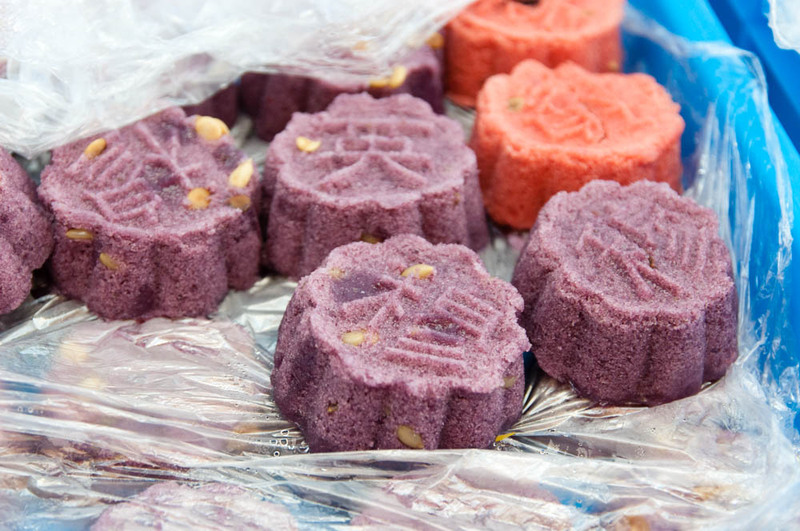 I love the colorful sweets churned out here and always make sure to stop by Mu Gui Ying at least once every trip for breakfast. 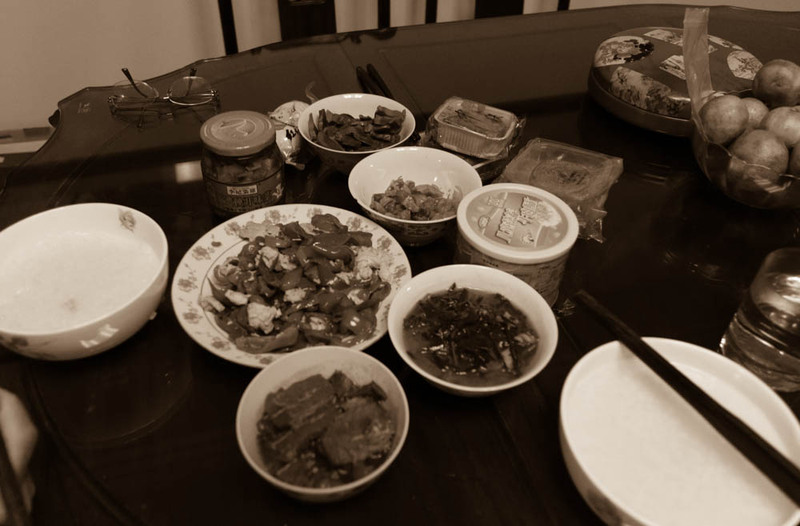 Day 310: Last Meal in China. I went out with a bang for my last meal in China. Who cares if it was only barely 8AM? A round of crab and pork soup dumplings and a gigantic bowl of freshly made wonton soup before heading to the airport. I had to make the last bite count, right?